Over the past several years, we have continued to add more services to our arsenal in our quest to provide the best possible service to our customers. To that end, we have just announced the launch of Pilot Customs Brokerage (PCB). 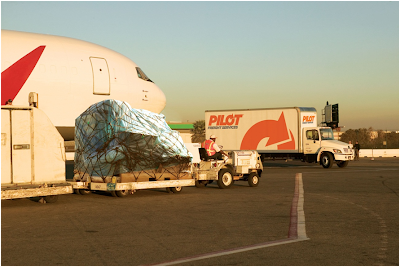 PCB is now processing and handling the customs clearance of imports for Pilot customers everywhere in the U.S. We are also offering customs brokerage as a stand-alone service for companies who are not current customers, allowing us to broaden our reach and bring in new business. Ilyse Dawicki, managing director of customs brokerage, is spearheading the new PCB operation. Ilyse has over 20 years of experience in customs brokerage and has undoubtedly been a great asset to our team. With the help of Ilyse and this new service we are able to better serve our customers and eliminate the use of third party brokers. PCB not only adds to our growing list of customer services, but to our overall growth as a company. Congratulations to everyone involved in putting PCB into action!